FK Lowry Piling successfully completed a £400,000 contract for Bouygues UK for the design and installation of 200 No. CFA Bearing Piles at their Meadows Student Accommodation Project at the University of Essex. During the six-week project, FK Lowry Piling were subcontracted to install 600mm diameter continuous flight auger piles to depths from 13.5m to 23m to support axial loads of up to 2000kN. The ground conditions encountered were typically made ground overlying soft to firm silty clays. This was underlain by stiff silty clay with dense sands found at design depth. 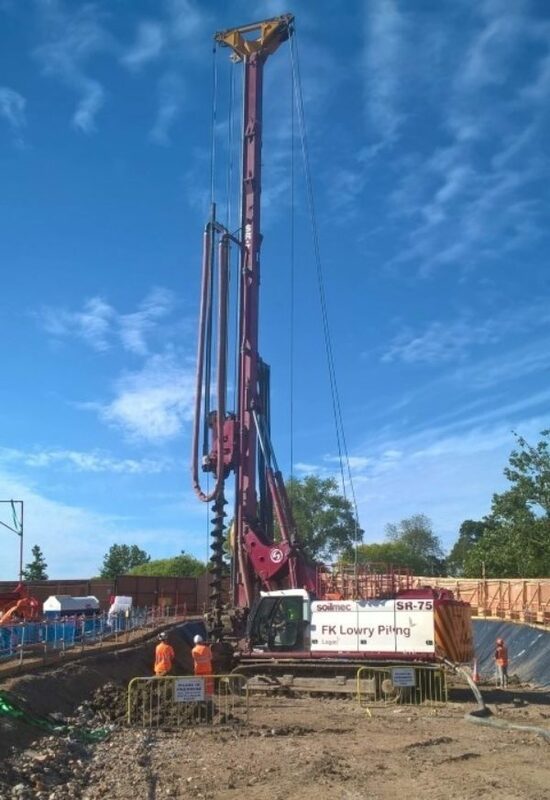 FK Lowry Piling continue to operate nationwide providing a piling service to sectors ranging from Education, Health, Private & Commercial, Energy and Civils Infrastructure.